This entry was posted on May 11, 2014 by Goplasticpallets. Jim Hardisty, Managing Director of Goplasticpallets.com, shares his top three considerations for sourcing the ideal transit pallet. Picking a pallet sounds like it should be a simple process, but in reality it is one that requires careful consideration, just like choosing a new car. You wouldn't buy a new car without ensuring it had an excellent safety record, considering where you would park it and whether it represents good value for money. 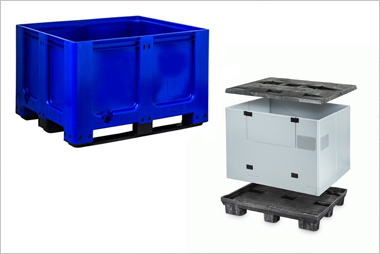 My top three recommendations for selecting the ideal transit pallet are not so different. The performance of wood versus plastic is a hugely debated topic and one that’s not likely to abate anytime soon. After all, the traditional timber pallet has existed for nearly a century and has helped transform the logistics industry. However the automated systems of today’s modern logistics operations call for more durable, flexible products that offer safer handling and satisfy businesses’ economic and environmental demands. Owing to their lack of splinters, nails and sharp edges, plastic pallets are much safer to handle than wooden pallets and there is no risk of loose component parts breaking free under manual lifting conditions and causing injury to operatives. The same applies for automated handling systems. In manufacturing plastic pallets, highly polished moulds ensure the consistent size, strength and dimensional accuracy or each pallet, which means that they work seamlessly in any automated operation. In contrast, using wooden pallets in automation offers far greater risks as it only takes one loose nail or splintered edge to jam a system, causing untold damage, costly repairs, and loss of earnings through downtime. My next recommendation is checking pallet loading capacities. 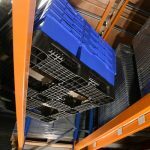 When sourcing a pallet you want to make sure that the one you choose has the strength to perform its given task – particularly where pallets are being used in high racking systems. If we take the traditional wooden pallet as an example, whether new or reused, there is no way of determining its exact dimensions and strength since wooden pallets do not have guaranteed loading capacities. The reason for this is that the strength of timber varies, as growing conditions, including the climate in which the wood is cultivated, determine the quality and strength of the end product. Make 100 wooden pallets one month and test them and they might all have the same loading capacity, but make another 100 pallets a few months later and there is no telling how the capacity of these pallets might differ. 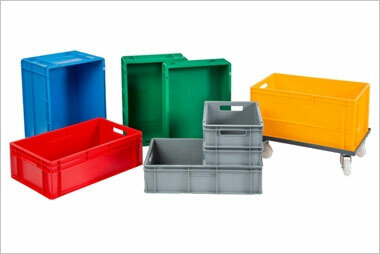 In contrast, the properties of plastic never change which means that plastic pallet manufacturers can guarantee the static, dynamic and racking limits of their products, offering customers the reassurance that their goods will be stored, racked and transported in the safest possible way. The continued recovery of the construction industry has put further pressure on timber prices and availability in recent months and has consequently driven up the cost of wooden pallets. In a closed loop scenario, plastic pallets are recognised as an Asset, and as such their cost depreciates over their working life. 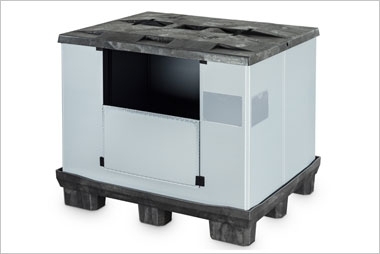 Take a medium duty plastic pallet for example – with an average life span of 520 weeks – the cost to the operator can be as low as 0.05 GBP per week. 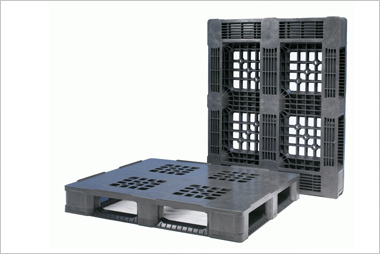 When used within normal handling and loading limits a reusable plastic pallet, such as this, can last up to 10 times longer than wood. 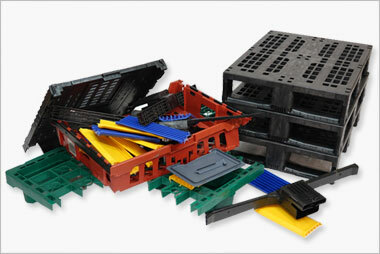 For lower weight applications, further cost savings can be achieved by using nestable plastic pallets. Although the unit cost of a nestable plastic pallet can be double the cost of a one-way wooden pallet, since they can be reused, plastic pallets rapidly become profitable. In fact, it is not uncommon for a nestable plastic pallet to be used in a manufacturing environment for up to 50 stock rotations. Lower fuel bills are also achievable with nestable plastic pallets. The ability to nest up to 40 empty pallets in a single stack means that a single trailer can hold 1,320 nestable pallets, which requires fewer return journeys to the warehouse, saving companies hundreds and sometimes thousands of pounds at the pump, and at the same time reducing their carbon footprint. For more expert advice on selecting a suitable pallet for your application call us on 01323 744057.